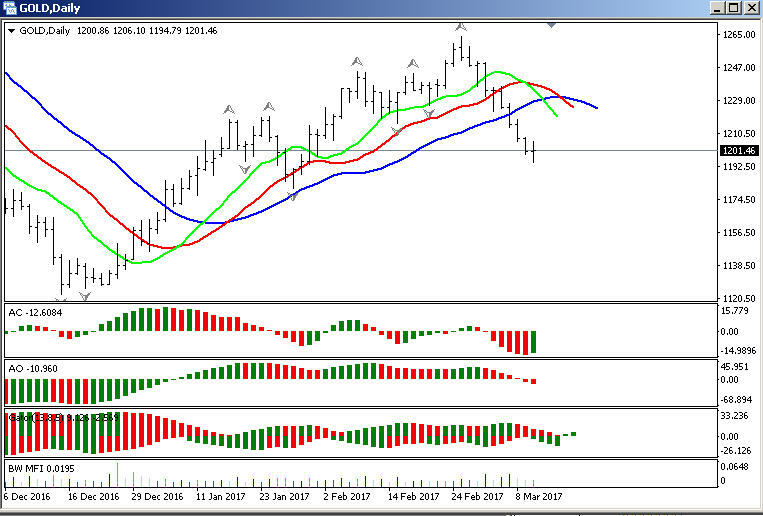 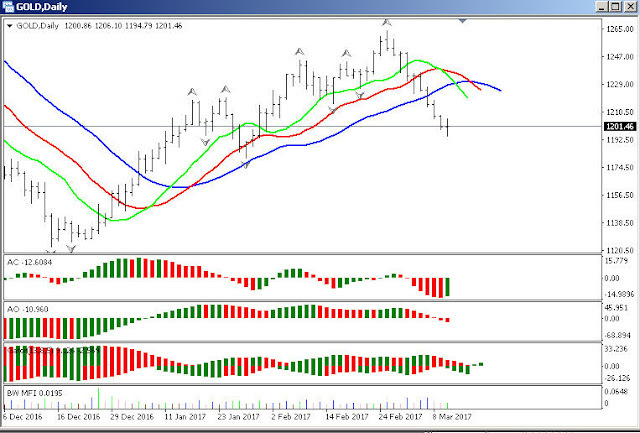 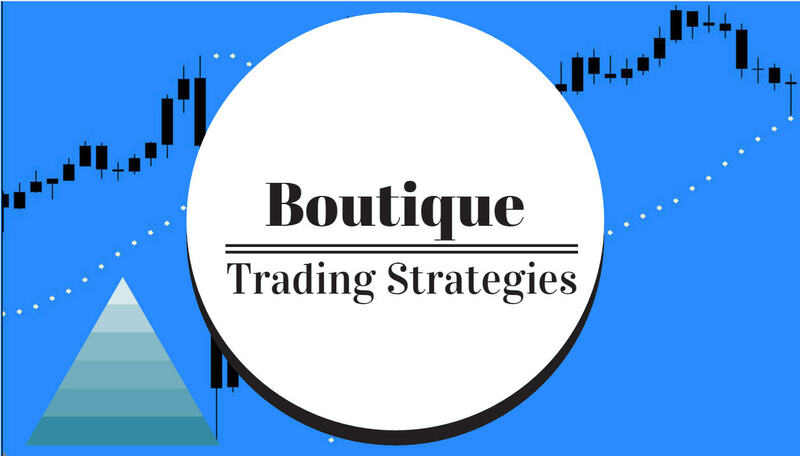 boutique trading strategies: Has Gold Halted its Drop? 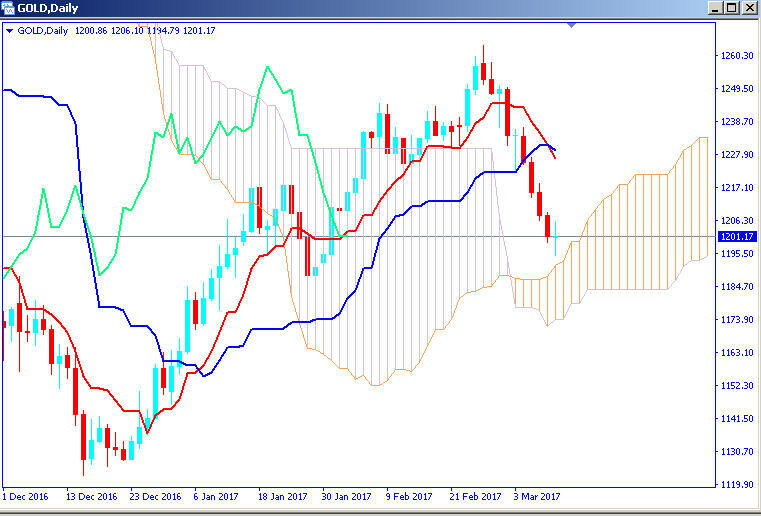 Today has seen Gold drop in price below what appears to be a key level of $1,200.00 to $1,195.85 and has since recovered back above the $1,200.00 mark. 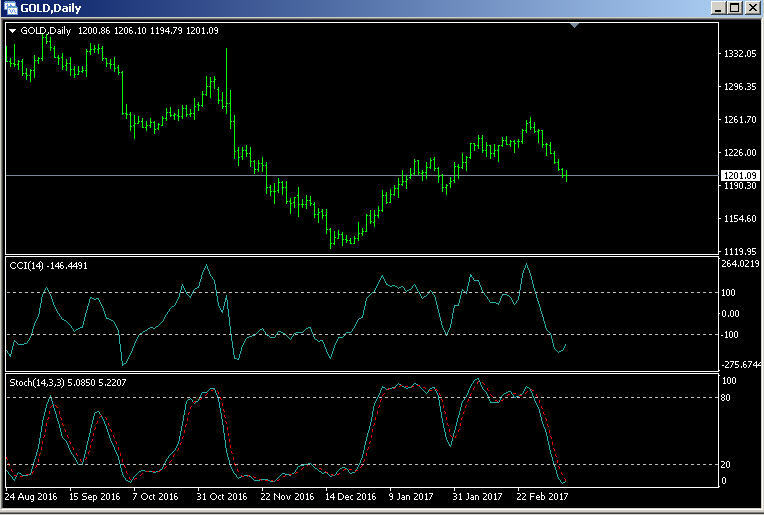 A stronger US Dollar, buoyed by the NonFarm Payrolls report pushed Gold lower during the session. The CCI and Stochastics are showing an oversold condition hinting that the recent drop may be slowed. 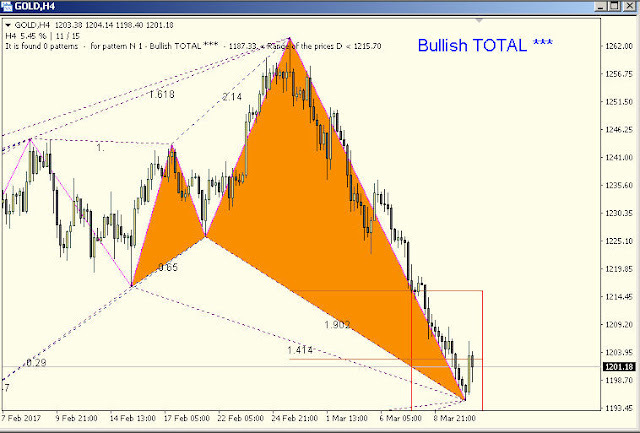 This Bullish Fibonacci Pattern indicates that an upward move is due. The Ichimoku chart may be the most revealing in that price is just above the Ichimoku cloud which may be a sign that price will meet support within a day or two.